Depart north up the spectacular California Coast to the first stop in Santa Barbara. Visit a Spanish Mission and learn how these religious outposts were key in the development of the entire region. 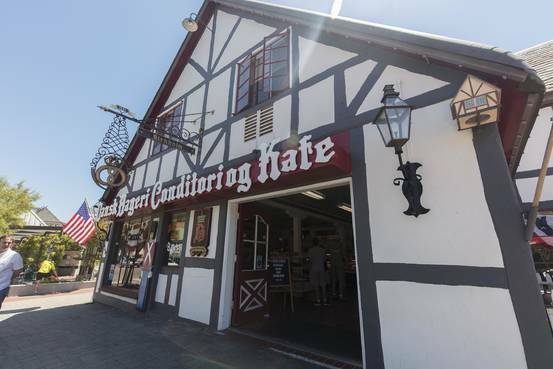 Continue to Solvang, a quaint Danish community to browse in the local shops. We head north to world-famous 17-mile drive (part of route# 1) where we get to see the spectacular California coast line up close. After our visit we visit the town of Carmel home to the actor Clint Eastwood. 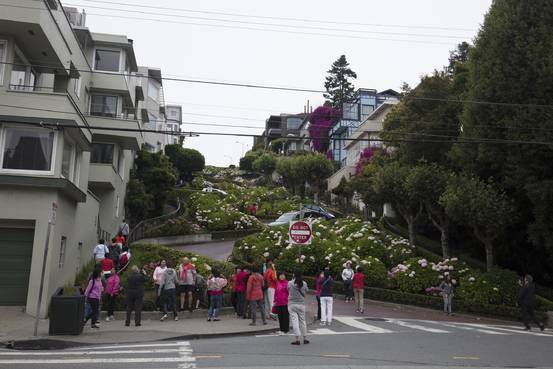 Enjoy some free time to stroll through town before heading on to Silicon Valley for overnight. Summer Route: We head east through the farmlands of the Joaquin Valley to Yosemite National Park. This 1,200-square mile wonderland of forests, lakes and waterfalls is located in the Sierra Nevada. Stop at El Capitan, Bridal-Veil Falls, and Half Dome to continue for a walk from the Yosemite Visitor Center to reach one of the highest waterfalls in North America (730 meters) Yosemite Falls. Winter Route: We start the day with a tour of Monterrey to include the wharf and Cannery Row after our tour we depart south a visit to the world-famous Hearst Castle. Built by the newspaper baron William Randolph Hearst, tours the famous house filled with antiques and see why the castle served as a playground for the rich and famous for the first half of the 20th century. In the evening, drive south towards Las Vegas. Overnight at the Comfort Suites Stevenson Ranch. In the evening, we take a tour of the strip to see some of the truly amazing hotels and fantasies that are built in the middle of the desert, such as Caesar’s Palace, Luxor, Mirage, Paris, Venetian, Bellagio, New York New York, Treasure Island and more. Finish off the evening at one of the many shows or try your hand at one of the many casinos’, who knows maybe lady luck will be smiling on you tonight. After a leisurely breakfast, we leave Las Vegas and make our way to the Hoover Dam, understand how this man-made phenomenon was built and what it did to the area. After our visit, we head back to Las Vegas for a free afternoon to enjoy some of the many and unique attractions or popular shows that the city has to offer. We start the day travelling across the Mojave Desert, and head up the Colorado Plateau and historic route 66, before arriving to Sedona. Known as the jewel of the desert and considered as one of the most beautiful places in America. Drive the breathtaking scenic Oak Creek Canyon that descends 2000 feet (610 meters) to the valley floor. We stop for photos of the red rocks and surroundings at the Oak Creek Canyon overlook, and the slide rock state park. Enjoy a lunch break in Sedona where you can browse authentic Indian arts and crafts stores together with unique boutiques and galleries. After our break, we head out to the surrounding desert to visit the Chapel of the Holy Cross, and panoramic views of the Sedona red rock formations including Bell Rock, Courthouse Butte and Cathedral rock. In the late afternoon, we depart the Sedona area to Flagstaff for overnight. We start the day heading into Monument valley, one of the Iconic symbols of the American West and one of the most majestic and photographed points in the world. 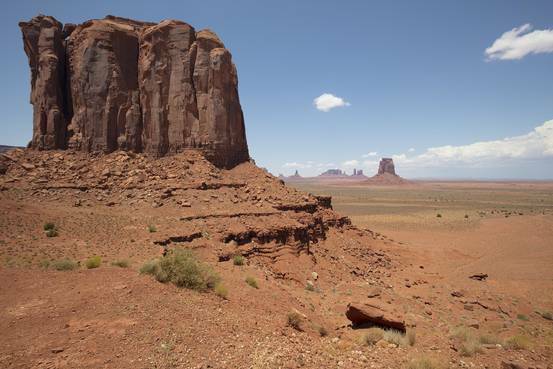 Deep in the heart of the Navajo nation lies this majestic park, which consists of sandstone masterpieces that tower from 400 – 1000 feet (up to 300 meters) around these sandstone towers you can find mesas buttes shrubs and trees. Our visit starts with a jeep tour with led by Navajo Indians. The tour will take you down into the valley and you will experience firsthand why the Navajo call this land “like no other place on earth”. We stop for an outdoor BBQ lunch (included) after which we head to the mighty Colorado River, for a visit to “Horseshoe Bend” a spectacular sight unique to this region of the country. In the late afternoon, we arrive to Lake Powell and Page for overnight. We start the day where “The water runs through the rocks” as per the local Navajo folklore. We tour the upper Antelope Canyon and visit the spectacular dunes created by the wind, water and sand, words are not enough to describe these formations created by Mother Nature. After our tour we depart this amazing area and start making our way back to Las Vegas, along the way we stop for a lunch break and then visit the “Valley of Fire” named for the magnificent red sandstone formations created from shifting sands and dunes during the age of the dinosaurs more than 150 million years ago. Our visit is timed to be able to see the appearance of the valley being on “fire” when reflecting the powerful sun’s rays into the valley (weather permitting). Depart the Park for an early evening arrival in Las Vegas.